The beginning of a new semester always brings about changes on Lipscomb’s campus. This year, one of those changes took place in one of Lipscomb’s longest standing buildings, Beaman Library. The need for an art gallery was driven by the art department’s transition from the James D. Hughes Center into Ward Hall. The Hughes Center is now home to Lipscomb’s new physician’s assistant program. Before renovations, the library’s first floor was dedicated to computer stations for both PC and Mac users. However, over the course of the summer the right wing transformed into the Hutcheson Gallery. The art gallery features two glass walls, allowing natural light to fill the room and a wrap-around bench for visitors to take in the artwork. Intentional design went into making this space inviting to students and the public. At first some students voiced concern about the renovation taking away valuable study space. “I was worried the art gallery would take away places to study and do homework, but there is still whole lot of room for learning. Although I do think Lipscomb could add more seating back there,” Lipscomb senior Hannah Hardman said. Although the space has been open since the first week of school, most students admit they were unaware the Hutcheson Gallery even existed. Unanimously students across campus agree that more advertising would have increased the gallery’s popularity around campus. In an effort to attract visitors, the public was invited to a gallery exhibition opening reception Tuesday, August 28th. Featured artist Jodi Hays led an artist talk and gave an intimate look into Lipscomb’s newest showcase for the arts. Hays’ exhibit God Sees Through Houses connects landscapes and Homeland Security’s “zero tolerance” policy. 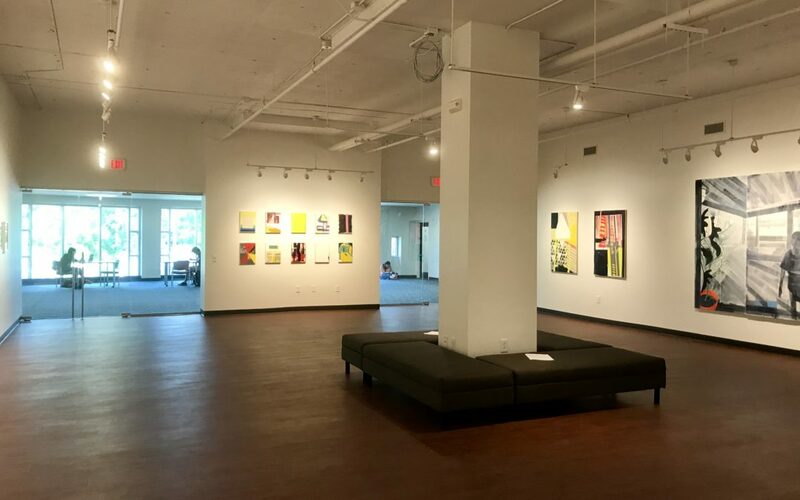 The Hutcheson Gallery provides Lipscomb students and faculty the chance to interact with the Nashville community. Its central location on campus welcomes library visitors to walk around and engage with others in a communal space. Once the student body embraces the Hutcheson Gallery, it is likely to become a frequently visited spot around campus. Lipscomb students will be able to enjoy the newly designed space throughout the remaining school year.